Prevc soared onto the international scene in 2006 and soon became an integral member of the Slovenian team event. At the 2009 junior world championships, he placed sixth individually and fifth in the team event. Two weeks after clinching the silver medal in the 2010 junior worlds in Hinterzarten, Germany, Prevc earned a seventh-place finish at the Olympics on the normal hill and 16th on the large hill. The Slovenian team was eighth overall. At the 2011 World Ski Championships in Oslo, Prevcs best individual finish was 17th on the smaller hill. The team then captured the bronze medal on the large hill. The Slovenians built on that performance with another bronze in the World Cup at home in Planica. In the 2011-12 season, Slovenia earned another team bronze in Harrachov, Czech Republic. 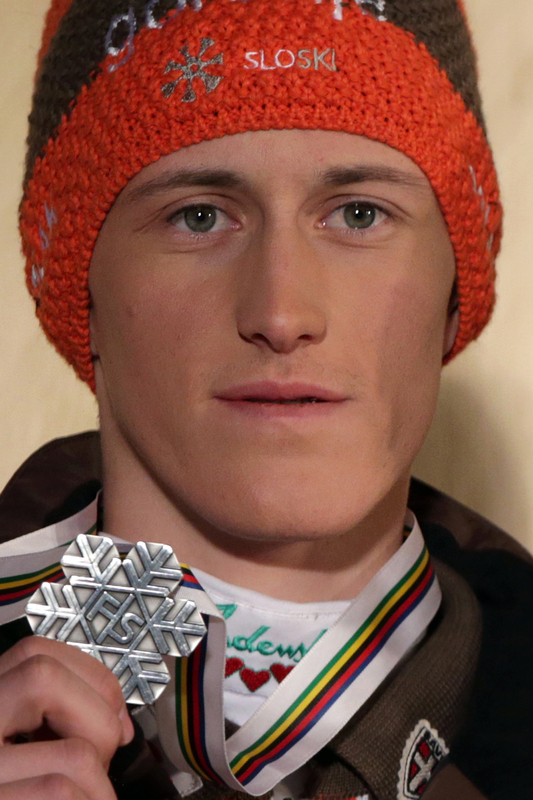 Prevc just missed the podium in Zakopane, Poland, and Willingen, Germany, with fourth-place finishes in early 2012. The Slovenian team had a breakthrough in February 2012, as Prevc earned his first World Cup team gold in Oberstdorf, Germany. Prevc flew 225.5 meters, but fell on his landing and tore ligaments in his shoulder, ending his season. Last season, Slovenia continued to establish itself as one of the top teams in the world by capturing three more gold medals and two bronze medals. Individually, Prevc was 13th at the test event in Sochi, and his best individual World Cup finish was fourth place in Oberstdorf. He was in top form at the 2013 World Championships in Val di Fiemme, Italy, winning the bronze medal on the normal hill and the silver on the large hill. "I step to the podium for the first time, just in the right moment," he said in his blog. Prevc then thrilled the home crowd at Planica, which because of its larger hill size is a "ski flying hill." Prevc won the silver medal to make his first individual World Cup podium. He then joined his teammates for the gold before winning his second individual medal, a bronze. The 2013-14 World Cup season began with another Slovenian gold in the team event at Klingenthal, Germany. Prevc did not make an individual podium until the final World Cup of the calendar year, tying for third at the Four Hills in Oberstdorf. He had the longest jump of the competition at 139.5 meters. Prevc has the consistency to make the medal podium and could help Slovenia win a team medal as well. Prevc speaks Slovenian, English and German. He has two younger brothers, Cene and Domen, who also compete in ski jumping. In 2013 Prevc was named Slovenian Sportsman of the Year. Copyright 2014 Associated Press. All rights reserved. This material may not be published, broadcast, rewritten, or redistributed. Kane: Olympics wasn't step back for U.S.